How Much Poker Winnings Should You Expect in Your First Year? People ask me all the time how much they should expect to earn in their first 30 days, 3 months, 6 months or a year at the poker tables. And it is difficult to give a clear answer because it is going to be different for everybody depending on their abilities, work ethic, commitment to improving and so on. However, there are a few rough rules of thumb though. 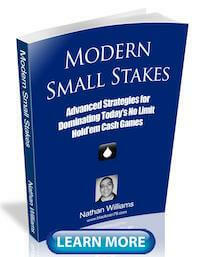 You should be looking to master the fundamentals of poker in your first 30-90 days. This is the time to learn how to play a basic tight and aggressive strategy (TAG). You should also be starting at the lowest stakes. There is no expectation of profit at this point. At the 6 month to 1 year mark, you should be looking to steadily move up the stakes and make a consistent profit of hundreds or thousands of dollars per month. You should also be studying and learning more advanced material. This is a fairly simplistic answer though, so in this article I am going to break it all down for you step by step. In other words, exactly what you should expect to earn in your first year playing poker at each step of the way. As mentioned, in your first 30 days at the poker tables you should simply be looking to get the fundamentals of poker down. And specifically this means a tight and aggressive strategy. Now quite frankly, there are very few people who are truly going to master all of these basics of a TAG poker strategy in the first 30 days. It will likely take a bit longer than this. However learning these basics should be your goal. 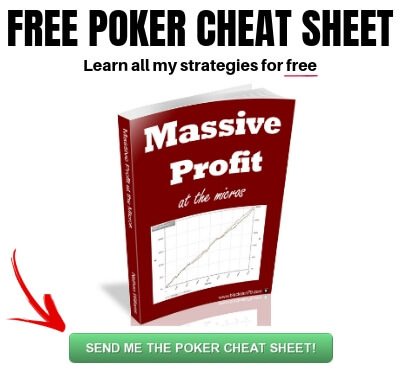 If you need a guidebook (exactly what hands to play, when to bet, bluff and so on) I always recommend just downloading my free 50 page TAG poker strategy guide. Regarding poker profit in your first 30 days, you shouldn't expect much. In fact if you are even winning at all, this is excellent. But it is not the goal at all at this point. 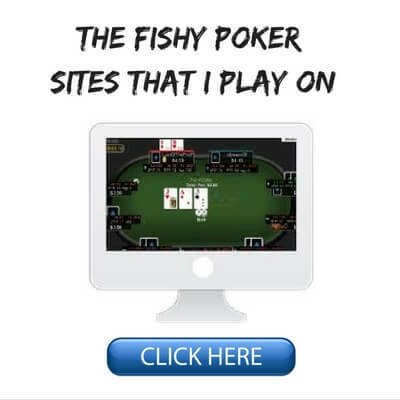 You should be starting at the very lowest stakes online or in the casino in your first 30 days playing poker and this is not the time to worried about your results. Poker is a long run game. The real results in poker don't come until at least the 6 month or one year mark. Therefore, if you are just in this game for the "quick buck" I would highly considering looking for some other hobbies. So by the 3 month mark you should be quite a bit further along the path in the development of your poker game. You should aim to move up just one limit during this time. So if you are playing online poker and you started at NL2 (1c/2c blinds) then your goal should be to be playing NL5 (2c/5c blinds) by the 90 day mark. If you don't know when to move up or what bankroll requirements you need, make sure you check out my full guide to bankroll management first. If you play live poker, and assuming you start in the $1/$2 games, then your goal should be to move up to the $2/$5 games by the 3 month mark. This is the time to really be working on your TAG strategy, starting to understand player types better and mostly just getting some solid hours in at the poker tables. Because as I always say, the best way to learn poker is through direct experience. However, at this point you should also start supplementing your learning with some lower level poker books or poker courses aimed mostly at beginners or novices. Regarding poker results, you still shouldn't expect much by the 3 month mark. 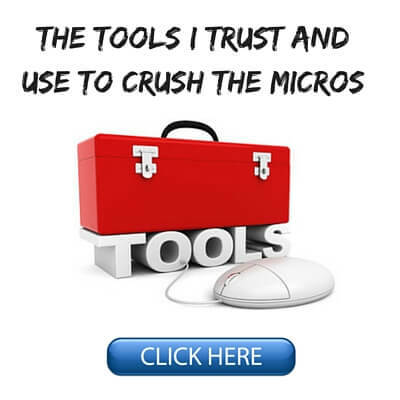 If you have made a couple hundred dollars or a thousand online or live, that is great. But it is still all about the process at this point. You need to develop a solid understanding of the game and how to beat other decent players as well. The money will come later. Alright, you hit the 6 month mark! Congratulations. Most people honestly do not make it this far. They are too impatient, they don't play consistently, they don't study and they eventually quit. Now it is important to know that it is completely fine if you are still not earning consistent good money by this stage. It took many world class pros years to get the kind of results they do now. I certainly wasn't raking in the big bucks either by the 6 month mark. But hopefully you should be able to at least break even in low limit games by this point. That is certainly a reasonable goal. Along with your basic TAG strategy you should be studying some more advanced poker material by this point including how to play a loose aggressive (LAG) strategy and beat good players. You should also be using a HUD if you play online and doing regular session reviews for not only your own play but studying the best players you have played against as well. I attribute a ton of my own success in poker to simply studying (and sometimes even copying) some of the top players in my games in PokerTracker. These are the guys who are already crushing the exact games that you are playing in. Study their hands and find out exactly what they are doing! You should also ideally have moved up a few stakes by the 6 month mark to some games where you can make some reasonable money. If you play online you should aim to be at NL10 or NL25 by this point. 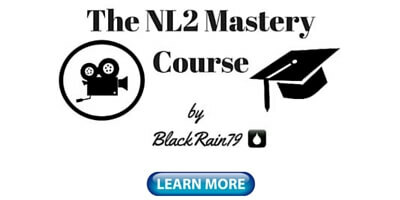 NL25 (10c/25c blinds) is actually the first stake online where you can expect to make some significant money. Top winners in this game can make $1000 per month with rakeback and bonuses added in. But once again, poker is a long term game. You shouldn't be looking to get rich by the 6 month mark. Just keep making steady progress and work on becoming a better player every day. If you managed to make it to the one year mark seriously give yourself a quick high-five right now because 80%-90% of poker players have thrown in the towel and quit by this point. Poker is a lot like starting a small business, most will fail. These are just the facts. And this is because most people lose for months and months before they ever see any kind of a profit at all. This is difficult because you aren't getting the positive reinforcement that all your time spent studying poker and the long hours at the poker tables are actually having a real impact. This is indeed why most people quit. So you need to prepare yourself for this. As I have said repeatedly throughout this article, poker is the exact opposite of a get rich quick scheme. You need to be in this thing for the long haul or else there is no point in even bothering with it. So anyways, by the one year mark in your young fledgling poker career you should ideally have moved up several stakes and be consistently making hundreds or even thousands of dollars per month. So at least NL25 online, although NL50 or NL100 would be much better. NL50 and NL100 are the first games where you could realistically be making job replacement money even if you come from a wealthy western country. But hopefully you are at least a winning poker player at the lower stakes by the one year mark. If you have managed that, then once again, you are way, way ahead of most other people. The poker results that you should expect by the end of your first year is to be playing at some reasonably decent stakes and be consistently making hundreds of dollars per month, or in the best case scenario, thousands of dollars per month. However, truthfully most poker players will not achieve these results. In fact, most will quit the game long before they ever even reach the one year mark. This is why it is so important to learn poker the right way from the beginning and understand that this is a long term game where it may take years in some cases to see real significant profit. Keep in mind that I am also assuming throughout this article that you are willing to put in the hours both at the tables and away from them studying every day. Anyone who is truly serious about poker is going to do this. Anyways, I hope this article gave you guys some realistic expectations of where you should be at throughout each stage of your first year playing poker. Big time success in poker is neither quick nor easy. However, for those who are truly willing to put in the effort and stick it out over the long haul, this game can be very good. 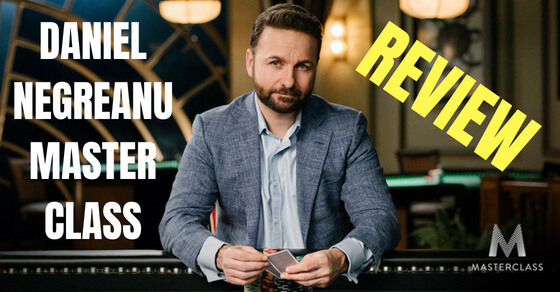 Make sure you download my free poker cheat sheet to learn the strategy I used to quit my job over 10 years ago, become a poker pro and travel the world. 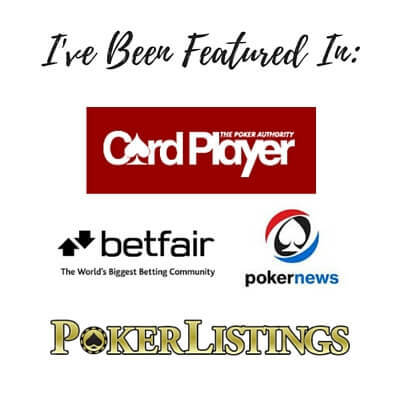 Let me know what results you achieved in your first year playing poker in the comments below. Great article as always.A word of caution for live players Suppose you do well at 1/2 live games,you run good and accumulated money to have a bankroll for the next level.In low income countries,the average skill gap will be tremendous.If this is the case,take some calculated shots,evaluate the level of the regulars and recreational players alike and make an educated guess if your hourly rate(money/hour) is worth it.Just because a game exists,doesnt mean you have to play at it.In poor south europe,live 2/5 may be as tough as a 10/20 game in rich countries such as the usa.Not many recreational players can afford to dump heaps of money for fun at those stakes in countries where the poverty line is as low as 700 euros/month. Thanks Jimmy! And good point about the differences between rich and poor countries. Great article Nathan, really enjoyed it. Thanks Dennis glad it helped! It really depends on the person and how much they multi-table. But I would suggest trying to play a bare minimum of 20k hands a month. This should be easily doable for someone playing a couple of tables for a few hours each night. Most full time players play 100k+ hands a month at the micros. A wonderful article as usual. It's the same 2 keys that will get you there like anything else in life - DESIRE and SELF DISCIPLINE! Thanks Graham and I agree! well, after 340 ish hours of 1/2 live this year, I am only profitable because of promo money. no 2/5 in my future for now. the "serious recreational" attempt continues . . . Sorry to hear the results aren't there yet ekw. Are you playing in soft live 1/2 games? Every time I play live there seems to be some really bad players in these games. Therefore, I think a simple ABC strategy should be enough to win in these games over time. First year : you can expect to loose money. Second and few next years: you can expect to loose your property. You can expect to loose your life. As always, thanks for the great info Nathan. As for the gentleman struggling at low stakes live play, the commenter speaking to the differences in play at various levels in "rich vs poor" countries, makes a point that may apply to live games, in the United States for example, as well -- in areas where there are few options for live play, you should probably expect higher caliber competition, even at the lowest levels. 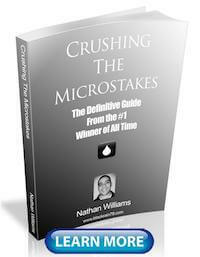 Hello Nathan, just got your Ebook on Black Friday Sale. Next year around this time I'll be finishing my education and will have lots of new free time available again. I've also got plenty of money saved up (around three years of living expenses on a middle european standard) and wanted to dedicate a year to poker as I struggle to get more than 2 hours per day in right now. Would you suggest moving to Thailand for this period to cut costs as much as possible? Or what would you recommend by this. In my thinking process I definetly thought it'd be a great idea to get out of my comfort area where there are lots of distractions by friends and family, moving the environment for a mindset switch. Thanks for your work, much appreciated! Hey Gwel I hope my book is helpful for you! 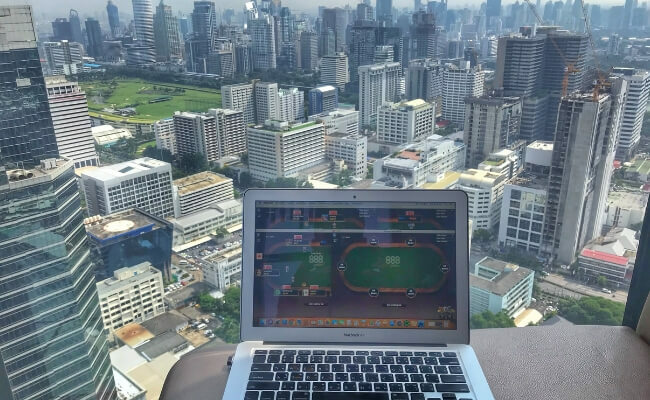 I think taking a year off to live in a place like Thailand and try poker can be a great idea. It will be an incredible experience for you either way and you will save a lot of money as well compared to living in Europe. Thailand is extremely popular with poker players and I have lived in this country for 5+ years now. It's awesome. But there are many other countries as well that have a low cost of living and great weather. Mexico, Philippines, Vietnam and Malta are a few of them. Malta is an EU country which might be beneficial for you. Ah ok thanks for pointing that out Jimmy. I haven't been to Malta yet. I have just heard about it from a bunch of other poker players. How does these expectations or "shoulds" can conciliate with the fact that 80% are long term losers (as said on previous articles)? I know, each person will have a different evolution or devolution. How can you deal with this process? How can I know if I got a bad month doesn't mean I'm a bad player? More importantly, what to do when reality throws your expectations to the ground? I think this is only something you can know over the long run. This is why I suggest trying to play as often as possible and multi-table as well. Because once you get to the point where you have played 100k, 200k, 300k hands or more, you can draw some pretty solid conclusions about how you are doing whether good or bad.